With Montreal's unique architecture style comes unique challenges. 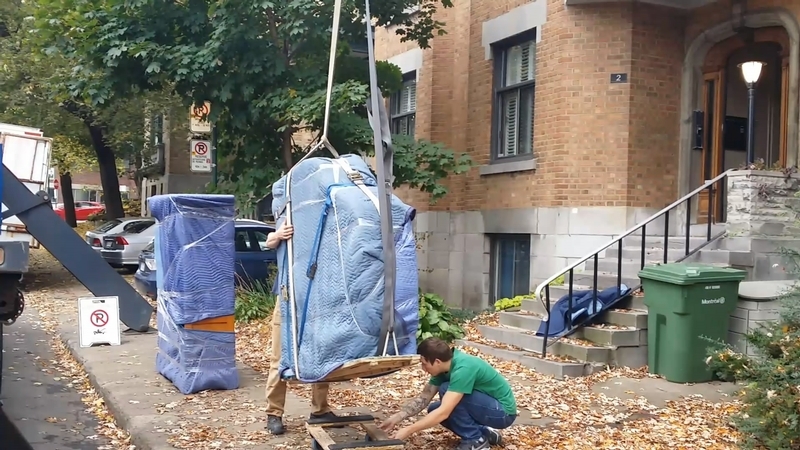 Oftentimes, Large Couches, Armoires, China cabinets and of course pianos need to be hoisted by the balcony or through a window. Other times large pieces of industrial or research equipment cannot fit in even the largest freight elevators. In these cases a crane for heavy items and hoisting for lighter ones is the only solution.